This photograph was taken in a fairly remote section of Arizona not too far from a place called Nothing. 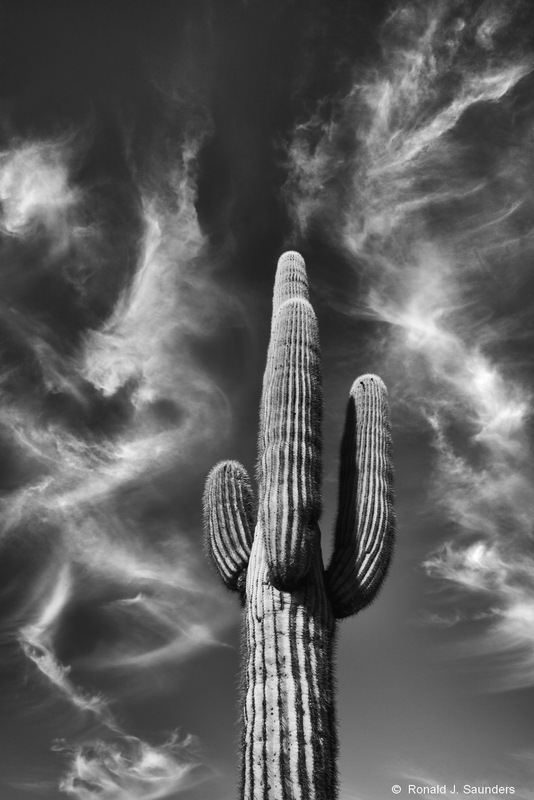 My quest in Arizona was to return with a Saguaro image that had nice atmospherics in the background. While I could find many cacti, there was nothing going on in the sky until I drove back toward Las Vegas on my last day in Arizona. I spent some time off-road chasing clouds and found a nice stand of plants with the right background for my image. Photo © copyright by Ronald J. Saunders.